We’d like to thank the group practices with multiple physicians who have all of their doctors as paying members in NAM and TMA. Thank you for your continued dedication to strengthening the voice of medicine in Nashville and Tennessee. 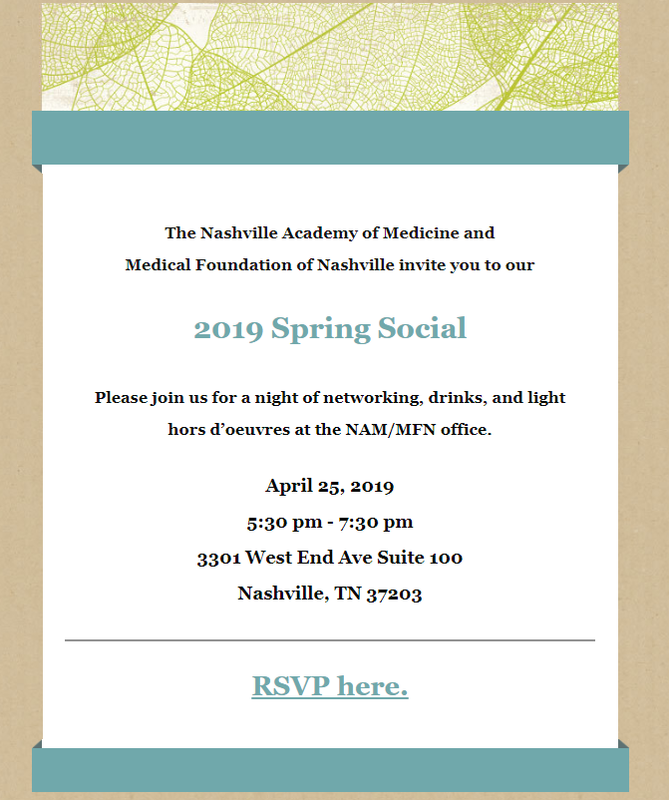 The following medical schools have enrolled 100% of their medical students or residents as members of the Nashville Academy of Medicine and the Tennessee Medical Association.